Many companies don’t think about risk management until they’re confronted with class-action lawsuits, product liability claims, government investigations, shareholder actions, and fines. 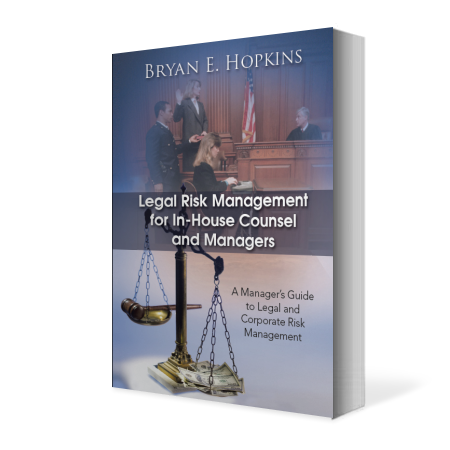 Take a proactive approach to protecting your company with Bryan E. Hopkins’ Legal Risk Management for In-House Counsel and Managers. 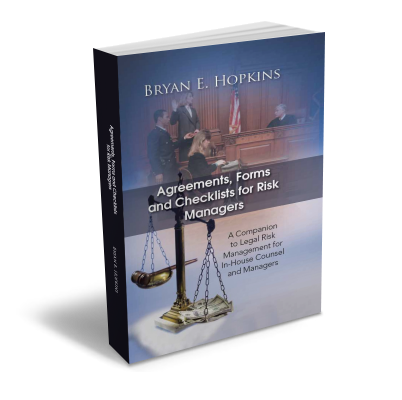 Agreements, Forms and Checklists for Risk Managers shows readers how in today’s business environment, companies either properly manage the complex world of legal and corporate risk or suffer the consequences. The wrong decision can kill a company—but how can those responsible for risk management keep on top of company needs? This highly informative book is the answer.